The leaders at MLSP were hard at it again. They show up every week day, and drop amazing content that YOU can use to completely rewire your brain for success. These leaders understand the obstacles that you’re going through. They’ve been there, gotten through them, and came out the other side as champions of our profession. And now, they’re putting everything they’ve got into passing on what they’ve learned. They do it for free every single day here. And YOU shouldn’t have to miss an ounce of this content because it’s just that important to you and your family’s lives! 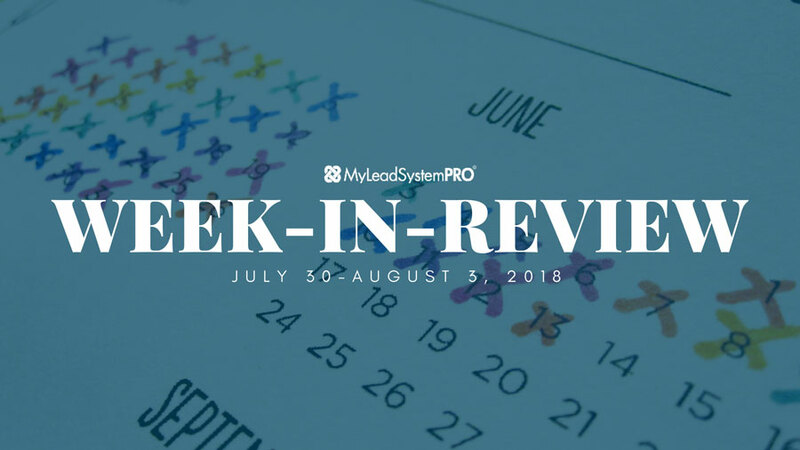 Check out all the amazing content the MLSP leaders dropped throughout the past week! L4 Leader Antonio Thompson is a Facebook Marketing expert. This dude wasn’t always the success he is now in internet marketing. In fact just two years ago he attended Live the Dream and nobody knew who he was. He sat in the back. And then two years later he was on stage teaching. Apparently just like he talked about on Monday’s Wake Up Call…he realized that the Calvary was NOT coming to save him. And it’s not coming to save YOU either! Why Antonio knows the ‘Live the Dream’ experience will transform you…and HIS story from in the back to the stage within 2 years. The sad truth that you must accept about personal responsibility that most people aren’t prepared to do! The important life lesson the heroes in the old Western movies can teach you about becoming successful in any area of your life! Antonio is constantly giving back to the MLSP community, and he proved that once again when he hopped over and went LIVE from the MLSP Facebook Group! You might as well hear it now. You will make a face plant now and then when you’re trying to grow a successful home business. L5 leader Sherri Brown has had it happen plenty of times. The good thing is that it usually means that you’re on the right track. As a top attraction marketing and social media marketing superstar, Sherri has bounced back plenty of times. She’s learned some of the secrets of coming back faster and stronger and on Tuesday’s Wake Up Call, she revealed exactly what those are. The reason it’s so hard to help yourself, and the simple solution to getting help from those who have come before you! Sherri brought her Southern hospitality, awesome accent, and marketing experience over to the MLSP Facebook Page to dive deeper into how YOU can bounce back when you have YOUR fall! You might struggle with trying to figure out WHY you keep doing that. Luckily L5 Ron Gelok has battled this problem before you. And has learned how to come to the truth and the solution to making sure he takes the actions he needs to grow his business, and see success! His Wake Up Call from Wednesday very well may be the open door to YOUR breakthrough! How to have your breakthrough while you’re listening to this Wake Up call replay! What you need to identify everytime you begin to procrastinate the actions you should be taking! Ron went even further into this vital topic over on the MLSP Facebook Page right after his Wake Up Call. If you want to finally start making things click, and taking the actions you know you should be taking without constant procrastination, then you’ll want to watch every second of this replay of Ron’s LIVE! FEAR! It’s one of the key obstacles that we all face. It’s what causes failure in far too many businesses that could have been great. Erin Birch knows all about fear and more importantly, she knows how to conquer it!! On Thursday’s Wake Up Call she reveals things about fear that you probably didn’t know, and will change the way you think about your own fears forever! 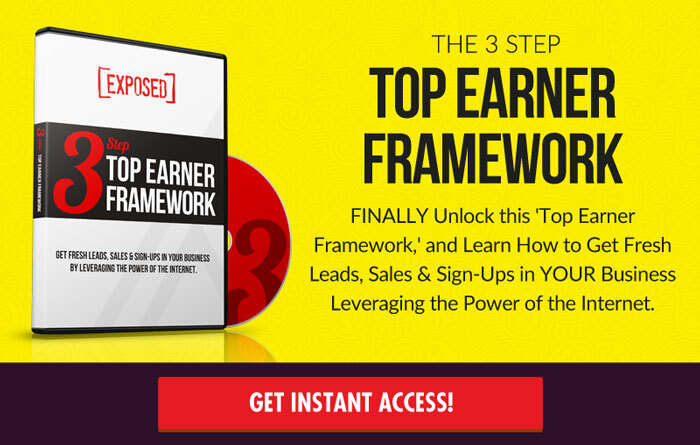 How YOU can become unstoppable and create massive success despite the fears you have now! Erin took this critical topic over to the MLSP Facebook Page to go LIVE, and dig even further in this this topic of fear. If you’ve been held back by fear, and are sick and tired of not living up to your own expectations, then watch every single second of the replay below! What does the number 1000 mean to you? Why is it significant? And how can it absolutely change EVERYTHING for YOU? Keysha Bass is always ready to give. In fact she does it every single Monday when she takes brand new MLSP members through the back-office, during the MLSP Orientation Webinar! On Friday, she ended the week she broke down exactly how simple it is to create a six-figure business! What TRUE FANS are, how to get them, and why your goal should be building that right now! Keysha went LIVE from the MLSP FB Page directly after her call, and jumped right into more on her topic of WHY 1000 is the GOAL!! It’s decision time. Will you or will you not take what you’ve learned from the leaders of this past week and apply it to your life and your business? Will you stop waiting for others to save you? Will you do what it takes to pick yourself up when you fall down? And will you go after the right goals that can change everything for you? Will YOU show up for yourself and your family in Austin, TX at our Live the Dream Event next weekend August 10th thru 12th! It’s time to make these decisions right now! When you do… great things happen, just like they were happening for MLSP members this week. You can See Some of Those Success Stories HERE!